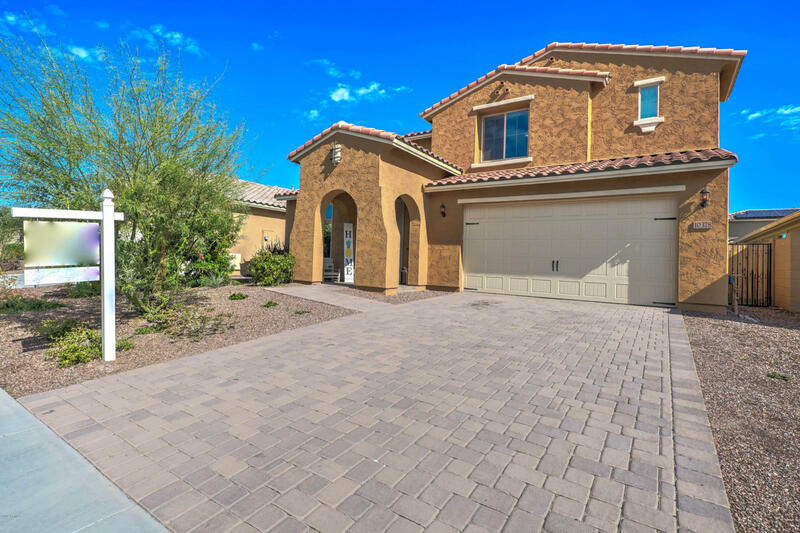 All TIERRA DEL RIO PARCEL 20B homes currently listed for sale in Peoria as of 04/23/2019 are shown below. You can change the search criteria at any time by pressing the 'Change Search' button below. "$15K PRICE REDUCTION, SELLERS ARE MOTIVATED. This beautiful 5 bedroom 4 full bathroom home was built in 2017. It features over 3100 sqft of living space and a 3 car tandem garage with access door. Stainless steel kitchen appliances with gas range and stovetop. Upgrades also include premium cabinentry, granite countertops, and 8' interior doors on the 1st level. Softwater system is included as well as low maintenance landscaping in both front and backyards. The layout features a Bed and full bath"